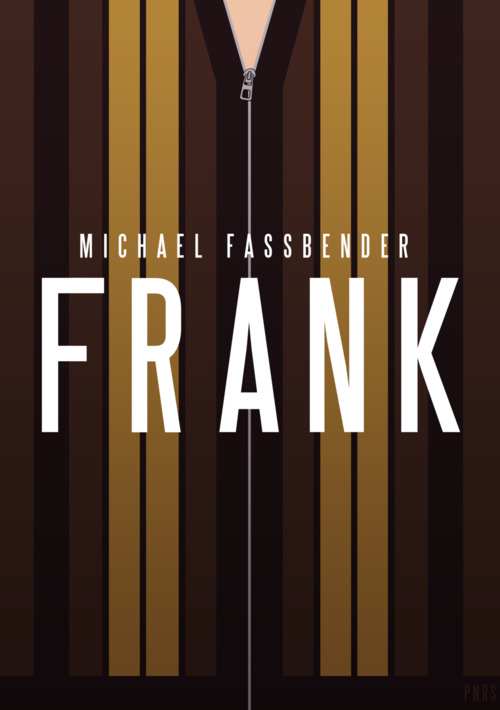 A young musician joins a dysfunctional rock group led by the mysterious Frank. Jon (Gleeson) lives a hum-drum life, living with his parents while attempting to establish himself as a keyboard player. As luck would have it, he lands the opportunity of performing with the unpronounceable art-rock group Soronprfbs after their keyboardist quits due to a nervous breakdown. The band ask Jon to accompany them to Ireland where, to his surprise, they plan to record an album during a prolonged stay. As tempers flare and the members become increasingly agitated, Jon debates whether he has made the right choice, but is drawn towards the enigmatic band leader, Frank (Fassbender), who keeps his face concealed under a papier-mache Frank Sidebottom head. When Jon first encounters Frank, he interrogates band manager Don (McNairy) about the logistics and purpose of his disguise. "You're just going to have to go along with it," Don tells him, but this is really Abrahamson addressing the doubters in his film's audience. It's a cheeky move, especially given the gimmicky nature of the set-up. Jon Ronson's screenplay is based very loosely on his own real life experiences performing as a member of a rock group fronted by Frank Sidebottom, who anyone over the age of 30 from the British Isles will be familiar with. Sidebottom was the comic persona of comedian/musician Chris Sievey and was a regular feature on UK TV in the early nineties. (The recent movie Filth also prominently features Sidebottom.) Oddly enough, none of the characters in Frank ever mention Sidebottom's name, making its story seem to occur in some parallel universe in which Frank hails from Kansas rather than Manchester. The movie shares many plot similarities with Cameron Crowe's Almost Famous but contains a level of twee that even arch-sentimentalist Crowe would wince at. Whereas Crowe's film made the rock lifestyle seem glamorous and appealing, at least at first, spending time in the company of Soronprfbs is far from a fun experience. They seem to have no musical talent and spend their time behaving like irritating adolescents. They're the sort of people that give creative types a bad name, although they don't seem to actually create anything. These people are clearly mad but said madness is played for laughs until the film's final act, when Jon discovers that mental illness is actually a bit of a downer. The film ends in a sentimental moment that Crowe would be proud of, but it's based on a terribly irresponsible decision made by Jon, and it's a moment of pathos the film hasn't earned.